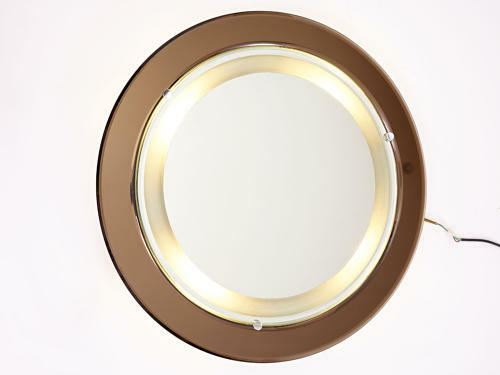 Illuminated mirror by Cristal Art, Italy circa 1965. Very good condition and has a slight purple tinge to the glass, so does not appear quite as brown as in the photographs. Can hold 8 bulbs, though only 4 were used in these photographs. Clearly once correctly hung the cable would not be visible.